M858 OLS, Volvo FL614 Emergency One, Watertender/ Ladder. Stationed at Fire Station Bridge of Allan. In North America, that would be a "Quad" ? 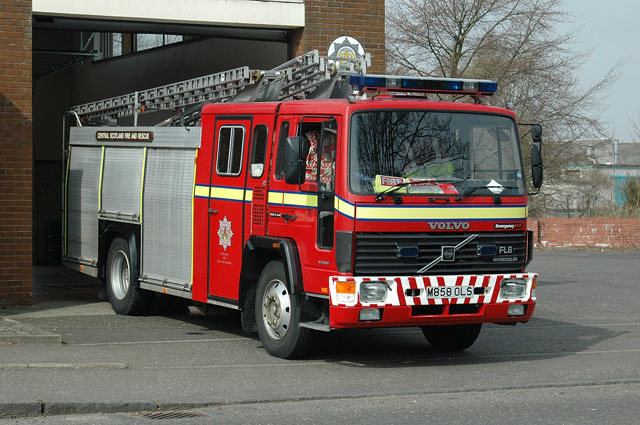 Added by Pat_R-B on 12 April 2008.
the designation WrL denotes the machine carries a 13.5m or 135 ladder rather than a 10.5m ladder. Added by Stevie Murray on 12 April 2008.